If you’re looking for a new spacious home in Los Angeles, California then look no further! 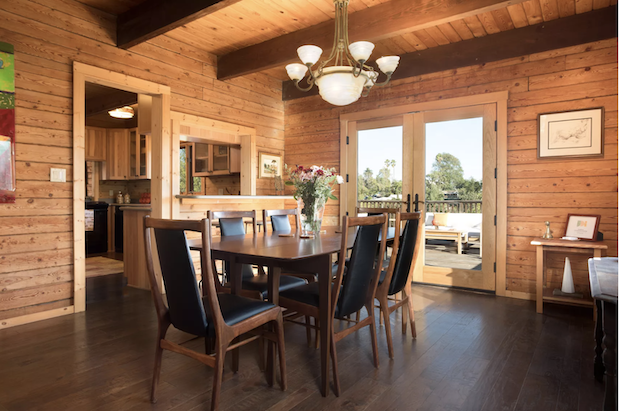 This 2,485-square-foot luxury log home has so much to offer you. 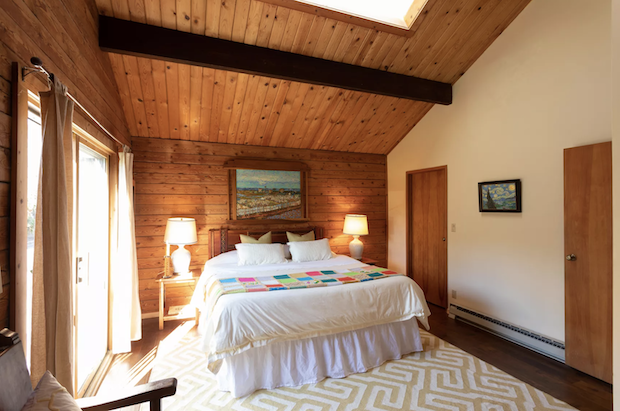 Spacious living spaces create a grand feeling as you find yourself always looking up at the vaulted ceilings. This home is made for entertaining many guests, with a generously-sized deck to accommodate them. 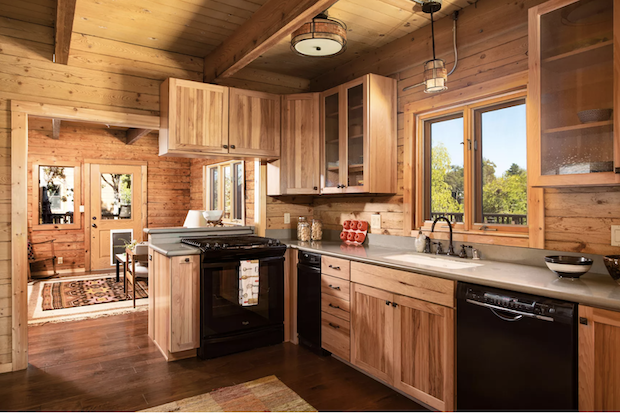 Many windows and skylights fill the home with natural light, all while providing you with picturesque vies of the outside scenery. The total size of the property is 7,500 square feet and is for sale for $1.5M. 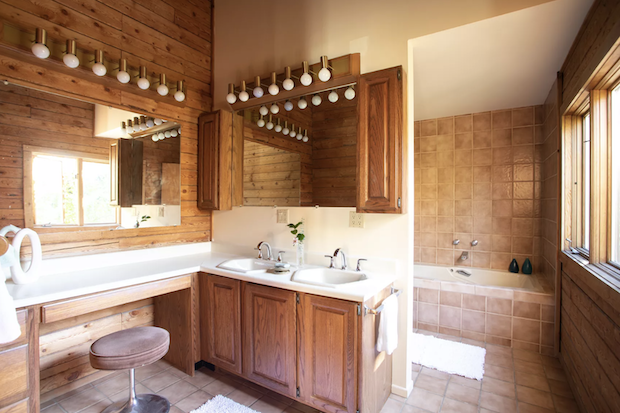 Constructed of solid logs made from Idaho lodgepole pine, the rustic-modern residence contains three bedrooms and two baths within its 2,485 square feet. 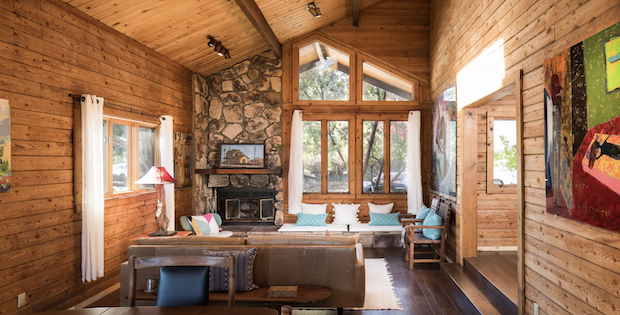 Notable architectural features include a two-story atrium, multiple skylights, a river-rock fireplace and staircase wall, French doors, casement windows, and an expansive deck.